During any major election, one question on everyone’s mind is will interest rates rise? Before we get into that let’s first discuss a little bit about interest rates and why they move. The fluctuation of interest rates is how the flow of money is managed through the fed. As a general rule when interest rates go up, real estate prices go down. The raising of interest rates can be perceived as an investors friend but only if the person investing in real estate is purchasing the property for cash. Another way to look at the rise of interest rates is in the form of good ‘ol fashion competition. Think about this for a second, when interest rates are rising mortgage brokers will be even more competitive to give you the best rates available. Additionally, sellers are facing the fact of a smaller buyer pool since applicants that could once qualify cannot any longer. This is turn may give you the opportunity to save thousands! Have you heard of an interest rate buy down? The buy-down is an option that might not be presented to you by the mortgage banker so be sure to ask. Basically a buy down allows a borrower to pay some money up front to save thousands in the end. Let’s say your interest rate is 5.0%, you can opt to pay a buy-down fee and have that rate reduced. With a buy-down, the more you pay up front the less you pay for interest. There is a limit on the amount you can buy-down your rate to though so check with your lender on what options you have available. RELATED: Home Equity Line of Credit Frozen or Canceled? Lean on your trusted real estate agent during the offer negotiation process. They’ll know best want to do and how to approach such interest rates rise issues in your area. 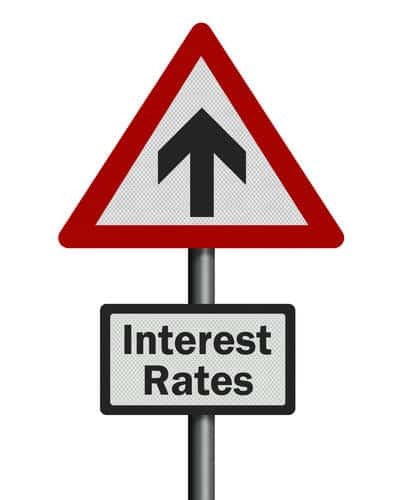 For more information on why and how interest rates rise, please contact us or leave a comment below. We’d appreciate the opportunity to assist you!